MONTVALE, N.J. ‒ Saint Joseph Regional High School is furthering its investment in supporting strong alumni relations through the addition of a new platform powered by Graduway. 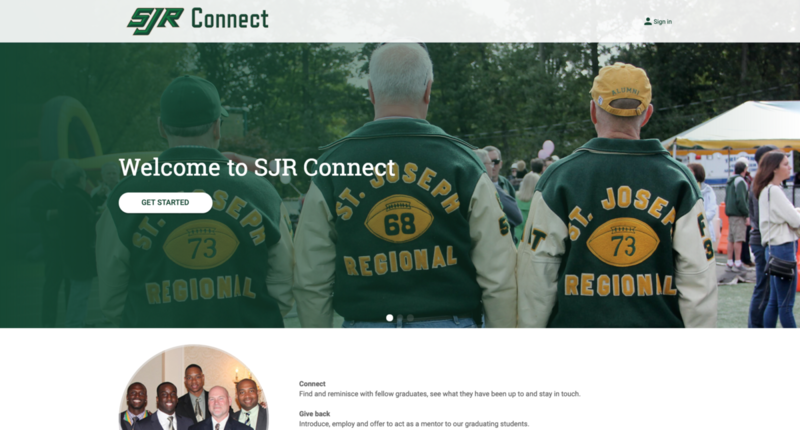 The new platform, “SJR Connect” (sjrconnect.com), will create a private online community where St. Joseph Regional alumni can receive institutional support, network with peers, obtain professional development and more. St. Joe’s is confident this platform will have a positive impact on the success and growth of its alumni. Graduway provides alumni networking platforms to schools and universities that wish to offer their past and present students with a way to connect and enjoy exclusive professional opportunities within a trusted and official destination. SJR is pleased to join the ranks with other secondary schools in northern New Jersey who are already using the Graduway platform, such as the Delbarton School, Montclair Kimberley Academy, Seton Hall Prep and St. Benedict’s Prep.